IPOH-BORN Elaine Peckleng Chiew (also known as E.P. 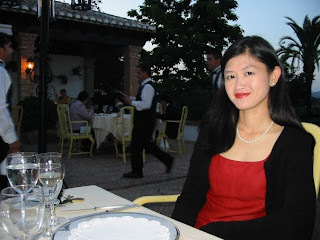 Chiew), who lives with her husband and two children in London, has won first prize in the 2008 Bridport Prize for her short story, “Face,” about an old Chinese woman living in London. Judge Helen Simpson says, “Dramatised in short telling scenes, alternating dialogue with the main protagonist’s observations and memories, [“Face” is] powered by real emotional honesty.” Before starting to write fiction seriously in 2005, she was a corporate securities lawyer for a New York law firm, and later for an investment bank in Hong Kong and New York. She is now working on her début collection of stories. She has had her stories published in In Posse Review, The Summerset Review, Juked, among others. A little bit about previous winners of the Bridport Prize who have gone on to greater things. Kate Atkinson won the Bridport Prize in 1990 with a story that went on to become the first chapter of her first novel, Behind the Scenes at the Museum (1995), which subsequently went on to win the 1995 Whitbread First Novel and Book of the Year Awards. Helen Dunmore was also a 1990 winner; her novel, A Spell of Winter (1995), won the 1996 Orange Prize for Fiction (the first winner of the Orange Prize). Tobias Hill, a winner for poetry in 1994 and short story in 1996, is now an established poet and novelist; he is the author of the short-story collection, Skin (1997), winner of the 1997 PEN/Macmillan Silver Pen Award for Fiction and the 1997 Ian St James Award. Thank you for the big toot, Mr. Forbes! Really great blog. Just read Claire Wigfall's collection myself. A very pleasurable read. Thanks, Elaine, for your kind words. Heartiest congratulations on your writing success!